A redesign to increase the functionality and re-use value of the packaging, which displays the qualities of the product itself. 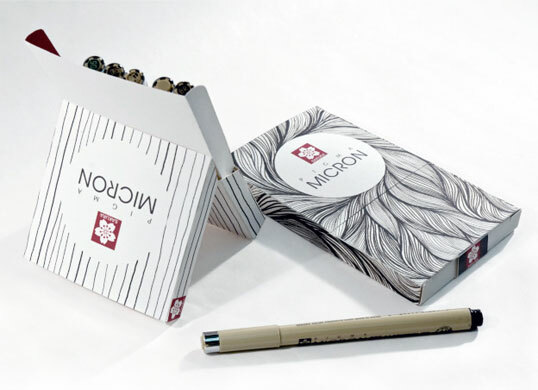 I use Microns a lot, and I can tell you this packaging would be an excellent alternative to the current one. It looks great and is clearly more functional than the always-opening plastic case. It looks great but how does it work? You flip the top part open and then what? The inner white part can´t be there when you flip it open, can it? Not to mention the pens… I really want this to work, I just don´t see how it does. if it is like the ones i’ve seen before, you have to pull the top part upwards, and then flip it back. the inner part is independent, it slides inside, so it never folds.